The New England Section of The 99s is one of 26 sections of 99s in the world. Our membership is divided into chapters that are part of geographical “Sections” that cover several states in the U.S., provinces in Canada and countries. 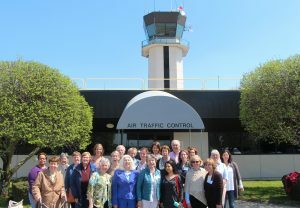 We are a diverse group of aviators encompassing many professions – from airline pilots and CFIs to doctors, artists, photographers, teachers, public servants, business owners, parents – united by our shared mission to advance women in aviation. Aerial photographer, author of Sea & Sand from the Sky. Margot (in photo on left) was recently the cover story feature for the Ninety-Nines magazine. Read her story and catch up will all The 99s’ news HERE. She has also been featured on Boston’s ABC affiliate WCVB weekly news magazine show Chronicle. See her interview HERE. Margot also spoke to Shutterbug.comabout her career. She and three other Cape Cod area 99s appeared in Cape Cod Lifeand Margot’s photos recently appeared in South Shore Living. Margot is a member of the Eastern New England Chapter. The cover story of the 2015 March/April 99s NEWS on left. After longing for years to become a seaplane pilot, Mary, at 47, started by getting her private certificate in six months. But she knew there had to be more — and there was. Mary now holds an ASEL, ASES, AMEL, CFI, DPE and is a FAASTeam member. She has over 5,500 hours, half of those land and half sea. 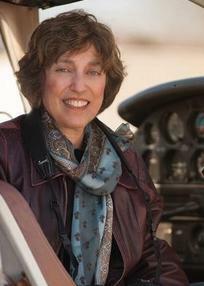 Mary has flown to Alaska five times, raced in and judged the Air Race Classic and delivered many tailwheel planes across the country. 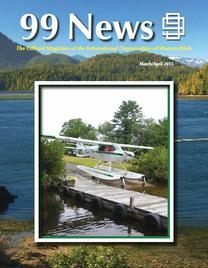 She has had articles published in The 99 News on the topic of winter flying and seaplane flying. Click HERE to download and read the story. The New England Section (comprised of three chapters) come together for meetings in the Spring and Fall of each year. The Section meeting is hosted by one of the chapters and is held in their geographic area of New England. Terry VandenDolder took her first flying lessons while in her junior year at the University of Connecticut. Bit by the flying bug after only 2 flights, Terry applied for and was accepted to the Air Force pilot training program after graduating from the University of Connecticut. Terry served 10 years on active duty and 18 years in the Air Force Reserve. She was a C-141B instructor pilot flying global cargo / transport missions around the world from Pakistan to Antarctica, Europe to Africa, while based at Travis AFB, CA. Terry was an evaluator pilot in the C-21A (Lear 35) at Andrews AFB, MD, transporting White House, Congressional and DoD dignitaries when she was not instructing new pilots in the aircraft. She commanded C-141B cargo/transport missions to the Middle East during Operation Desert Storm in 1990-91. She also served as a legislative liaison for the Secretary of the Air Force at the Pentagon. After serving 28 years in the active duty Air Force and A.F. Reserve, Terry retired from her military career in 2009 as a Lieutenant Colonel. In 1990 she was hired by American Airlines. Since 1990, Terry has flown domestic and international flights on the MD-80, B-737, 757, 767, based out of Washington, D.C. 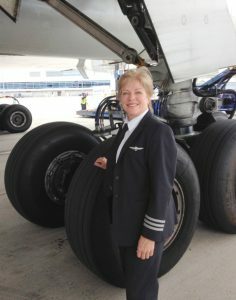 Currently she is based at JFK airport in NY where she flies international flights to Europe and South America on the B-777.